Are you in a part of the world with unreliable access to WiFI or cellular connection? 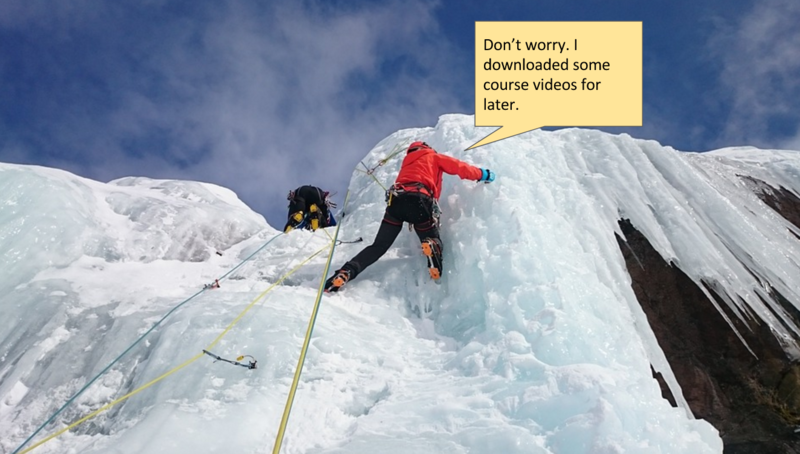 Do you want to download material to your mobile device while on WiFi to save on data costs? Or are you heading on an adventure where you might be out of signal range? If any of the above applies to you, you’re probably one of the many learners who love having the option to learn offline on mobile. The ability to download material to work offline is one of the most-valued features among our mobile users. 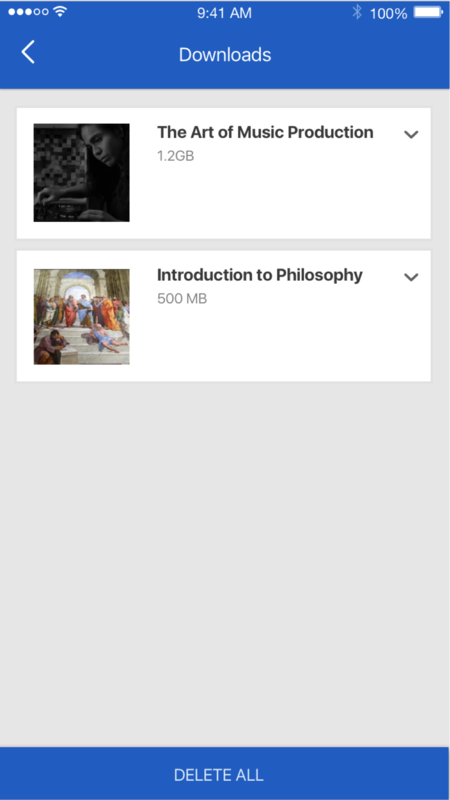 Last year, we added the ability to download videos and readings for offline access. 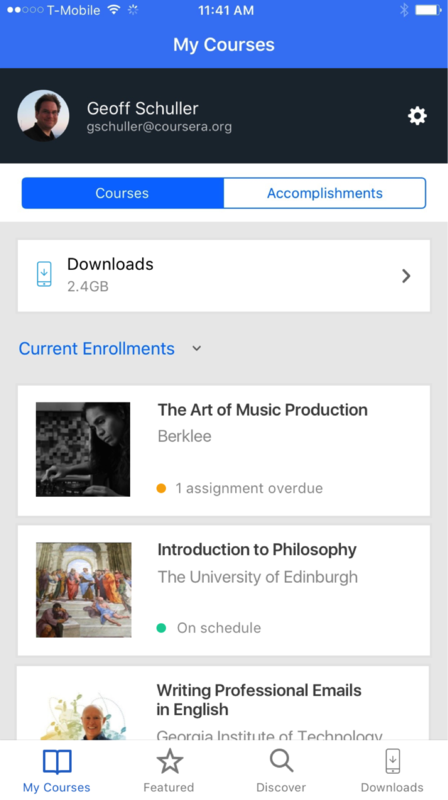 Now, we’re adding more offline features to help learners complete coursework wherever life takes them. 1. Save a week’s worth of content for offline access with one click. 2. 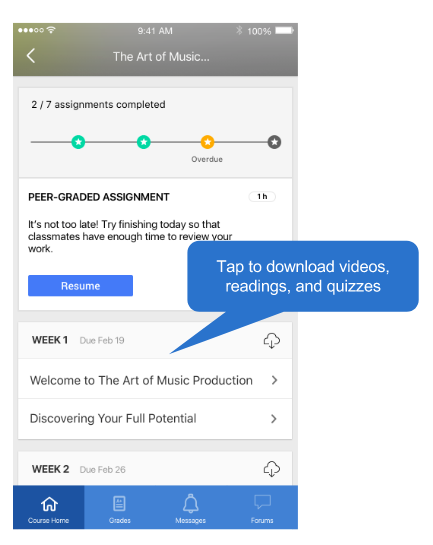 Save and submit quizzes offline. If you complete a quiz offline, we’ll submit your answers and update your progress when you connect again. 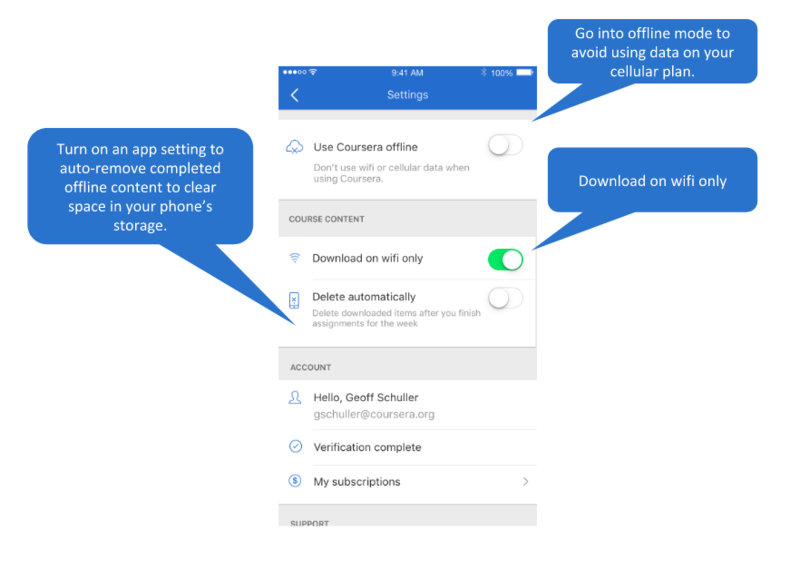 We’ve added more powerful online options and preferences, including the ability to manually switch to offline mode, download on WiFi only, or auto-delete older offline content. 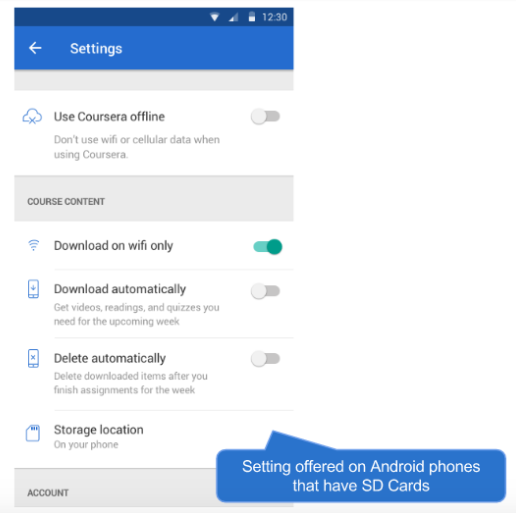 Android learners can also save offline content to an SD card on Android. 4. View and manage all offline content in one place. Downloads are now aggregated in one place on the course dashboard, so you can easily see what’s available offline.